I just got back from Montreal and had a chance to attend a Montreal Canadiens’ game. If you don’t already know, hockey is big in Canada, very big! And nowhere is it bigger than Montreal. The Canadiens are an institution. No team has won more Stanley Cups than the Montreal Canadiens. Every home game is sold out. If you want to see how a professional first-class event is run, go see a “big” event. 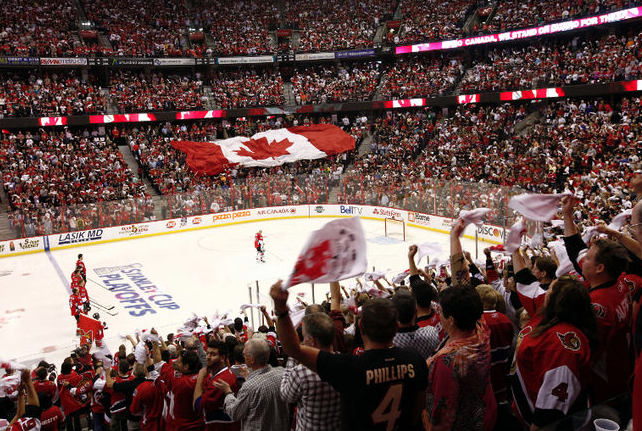 While you might not be a national institution like the Montreal Canadiens, you can see what makes a difference in producing a first-class event. 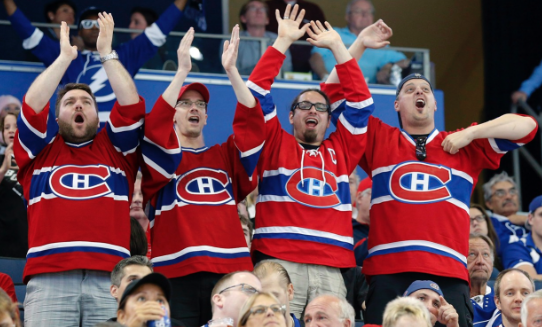 Having a large crowd helps any event and the Canadiens had 21,000+ spectators Saturday night, even though the team is not having a good year. Aside from the loyal following of fans, the hockey game is just part of the evening’s entertainment. Basically, whether you are a hockey fan or out for a night with friends or family, the entertainment never stops both before, during and after the game. Music is blaring, lights shows are flashing and everywhere activities are taking place in the arena. Are you making your event exciting and engaging? Prior to the game, the team promotes their tie-in to a local charity. The players take children, recovering from cancer, out on the ice for the national anthems (they play both the U.S. and Canadian anthems). Before the game starts Coors Light mini-vehicles drive around the ice shooting t-shirt cannons into the stands. The introduction of teams includes smoke and lasers flashing across the arena. Between each period Coors Light vehicles reappear and shoot more shirts in the crowd. Kids win a chance to ride the Zamboni that resurfaces the ice between periods. Even during a break in the action contests take place and the arena cameras constantly show fans (wearing team jerseys) on the big screen asking them to perform a dance, hold up signs or kiss their partner. The action never stops and everywhere people are entertained…whether they are hockey fans or just along with friends or family. Everything is timed to the second and the game is a very manageable two-hour show ending in a 3-0 shut out for the Canadiens. After the game the winning Montreal goalie skated around the ice waving to fans and throwing pucks over the glass to outstretched arms of waiting kids. Leaving the arena, concessions were selling food, drinks and every kind of souvenir imaginable to excited fans. While you may not be able to duplicate the high-end theatrics of a top professional hockey team, there’s no reason not to learn something and take a page from their book. Namely, the Canadiens know how to entertain and keep people engaged. Just like clockwork the game starts exactly on time. The pre-game show begins the minute you enter the arena. There are people to guide you, help you and sell you things. It appeals to all ages and the fun never stops until the game ends; fans taking the excitement with them as they exit the arena. Most importantly, the event does not drag, there are no delays and the event does not go on endlessly. No one leaves until the final horn sounds, ending the game. There simply is no way to get bored. It’s a great distraction from the daily grind and a wonderful family event. My advice; take some time and attend a “big” event in your area. You’ll see what’s possible and maybe get some ideas to incorporate into your local event. Even write it off as a business expense! ← OK, so where have I been?